Electors of North Wootton have the opportunity on 2nd May to elect their parish councillors and district councillor for the next four years or to stand as a parish or district councillor themselves. There are five seats on the parish council and one district councillor for the ward. The parish council election will be contested if there are more than five eligible candidates otherwise those standing will be elected unopposed. Nomination papers should be delivered by hand to the district council office; please do not post them. The first day that they can be accepted is 19 March, and there will be a specific office where they can be delivered. The last day for submission is 3rd April by 16.00 but it is recommended that you do not leave it this late in case of any errors on the form. 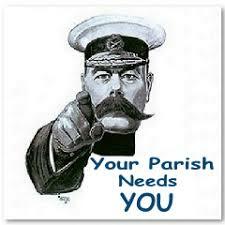 If you would like any further information on what it means and takes to be a parish councillor please contact the clerk at northwoottonparishcouciil@gmail.com. For information being a district councillor please contact Mendip District Council or visit its website here. Please also ensure that you are registered to vote!